Iris is a smart home automation app designed to smoothly integrate IoT devices into a smart home. The app allows users to track energy usage of each room and device, manage security systems, and set up a schedule of scenarios to effortlessly streamline the user’s daily habits. During initial brainstorming and ideation, I pinpointed trending problems within existing smart home apps that hinder convenience and user experience. These problems became the basis for the design of the app, aiming to solve issues of overly-complicated functionality while maintaining a sleek, modern look. 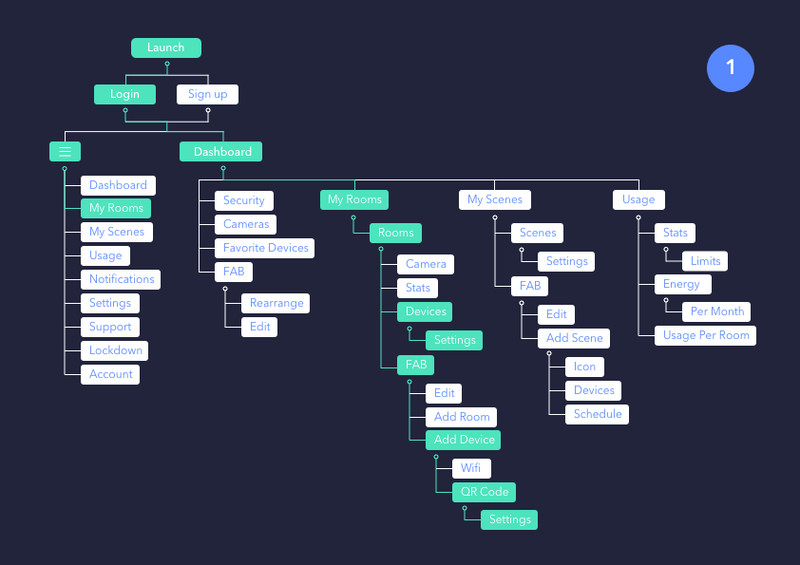 Flowchart and mapped scenarios for the interactive mobile prototype.